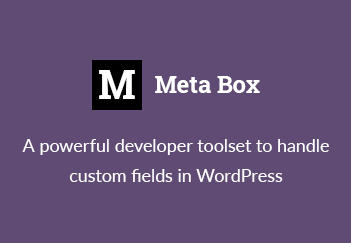 I’ve been working on the documentation of the Meta Box plugin and I found that a lot of content is repeated across pages such as the installation guide. I wonder if there’s any WordPress plugin that can help me save those content and let me use them later. So I did some research and here are the top 5 WordPress plugins that can help creating reusable content blocks. This plugin creates reusable pieces of content that you can insert into themes, posts, pages & widgets. It creates a new ‘text-blocks’ custom post type with it’s own section in the WordPress admin sidebar. It uses the standard WordPress user interface so you and your clients will know how to use it instantly. This plugin allows users to define modular blocks of text/content and place them in pages, posts, sidebars, etc. via shortcodes, widgets or PHP. It uses WordPress custom post type and custom post management to define reusable content blocks. So, it’s easy to use and elegant. This plugin enables you to edit and display Content Blocks in a sidebar widget or using a shortcode. The Custom Post Widget plugin enables users to use the WYSIWYG editor for editing the content and adding images. The Custom Post Widget is compatible with the WPML Multi-Language plugin and automatically shows the correct language in the widget area. Simple and flexible content management block. Generate [shortcode] for content that will be repeated in various areas of your website. Write once, paste your [shortcode] everywhere you want it to be displayed! Paste the [shortcode] to anywhere you want the block content to be displayed. Edit your block in one place and it will be updated everywhere you had your [shortcode].